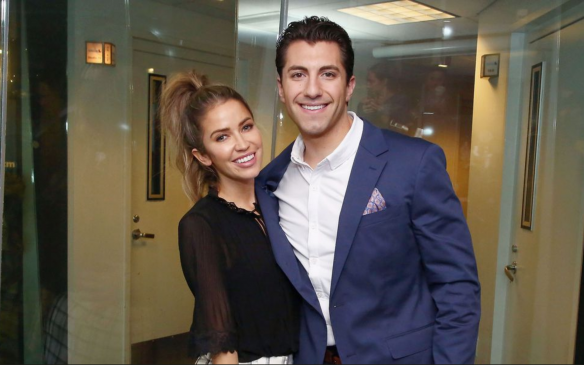 In the latest celebrity couple news according to EOnline.com, Bachelor Nation couple Kaitlyn Bristowe and Jason Tartick have confirmed their relationship. Bristowe joked, “I mean I was gonna use my podcast to break the news, but I guess the Today show beat me to it.” What a way to have your new relationship announced! In celebrity couple news, there’s a new Bachelor couple lighting up the gossip columns! What are some ways to announce your relationship to family and friends? …eager for more from Cupid’s Pulse? Click here! In celebrity news, Bachelorette Becca Kufrin said she felt “sick” after finding out contestant Colton Underwood dated her friend and former Bachelor contestant Tia Booth. On the second week of Kufrin’s season of The Bachelorette, there was already plenty of drama, including when the former NFL player told Kufrin on a group date that he had a short-lived relationship with Booth. According to People.com, on the show, Underwood told Kufrin about his time with her friend in January, “We had a weekend together and we had a good time, but for me the timing wasn’t right to grow what was a spark into a flame. If my feelings were strong enough, I wouldn’t have came on [the show]. I think that from what I know of you, we could build something awesome. We could have the time. Whereas it wasn’t there, moving forward, with her.” Kufrin was shocked by the news, telling the former San Diego Chargers player “I’m not going to lie — I don’t know how I feel about it. “It makes me feel a little bit sick. I’m very attracted to you, I really like where our conversation was on night one and I feel like we had a lot in common, but it’s a very tricky situation. It puts me in a very strange position. It’s just a lot to take in right now.” By the end of the episode, Kufrin did end up giving Underwood a rose, but the issue clearly won’t be put to rest. Next week, it was revealed Booth will appear on the show alongside Kufrin’s other Bachelor girl friends. In this celebrity news, The Bachelorette is already drama-filled after only the second episode. What are some things to consider before dating a friend’s ex? In latest celebrity news, Bachelor Winter Games couple Clare Crawley and Benoit Beauséjour-Savard are now engaged. The pair has secretly been dating off-camera since the end of the show. This is such a surprise because the last time we heard, Crawley wasn’t into Beauséjour-Savard the way that he was into her. Now, clearly things have changed! The celebrity engagement occurred at the The Bachelor: Winter Games World Tells All special. We have a celebrity wedding to look forward to in the future! Well, this soon-to-be celebrity wedding is a surprise! What are some ways to know you’ve found “the one”? More baby news from another Bachelor in Paradise couple has been released! Jade Roper and Tanner Tolbert are now are celebrity parents to their newborn baby girl. According to EOnline.com, their daughter weighed in at 6 lbs., 8.8 oz. and 20 inches long. The Reality TV stars were not expecting their child until September, but their bundle of joy was born August 17, 2017 at 10:03 a.m. Congratulations to the happy parents! In this celebrity baby news, Bachelor Nation has grown by one! What are some ways to prepare your relationship for a first child? …Want the details on this story? Click here for more. Lauren Bushnell posted a sweet, yet honest birthday shout out to Bachelor boyfriend Ben Higgins on Instagram recently. Higgins, who was the star of the 20th season of The Bachelor, celebrated his 29th birthday on Thursday, March 23. According to UsMagazine.com, Bushnell, 27, captioned a gorgeous photo of the two with a horse, writing, “Happy birthday babe!!!!! I’m so thankful for this life together. Although sometimes rocky you always hold my hand and support me through it, always with a smile on your face. You deserve the world, especially today.” This celebrity couple has never been shy about their affection toward one another. The pair has a history of taking to social media to express their love for each other. Despite what some rumors may insinuate, this celebrity relationship continues to remain afloat in the public eye. This celebrity news shows us that this Bachelor relationship is still going strong. What are some ways to show your love for your partner in a public way? In recent celebrity news, a former Bachelor contest has finally tied the knot! AshLee Frazier had a celebrity wedding with Aaron Williams in a lakefront ceremony. An insider told EOnline.com that the wedding was “beautiful” and “gorgeous”. Fellow contestants on the show, such as Elise Mosca and Erica Rose, went to the wedding to support the newlyweds. As for the quick celebrity engagement, the insider shares, “She planned the wedding really fast. They got married quickly because AshLee just didn’t really feel like waiting!” Sometimes when you know you have found the right one, you just can’t wait any longer! In this celebrity news, AshLee Frazier chose a lakefront wedding scene. What are some other romantic scenery choices for your wedding? 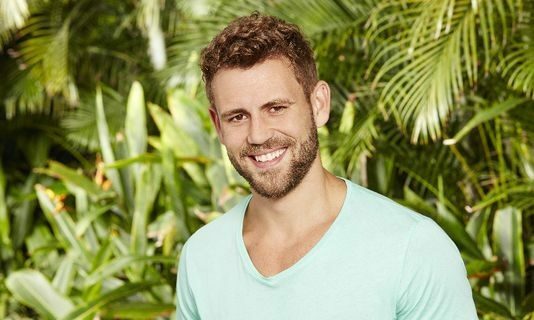 In recent celebrity news, The Bachelor is back, and this year on Nick Viall’s season, the villain of the season is stirring up a lot of drama! According to UsMagazine.com, Corrine Olympios “showed up to the cocktail party in a trenchcoat and nothing else before asking Viall, 36, to lick whipped cream off her body.” While that wasn’t seen by the other contestants, later on in the episode, a few of the other contestants saw “Viall jumping around in Olympios’ inflatable bouncy house one too many times and called him out: Is he here for the right reasons?” So while some of his other relationships are progressing on the show, it seems the villain of this season is really making some of the girls question his motives. In celebrity news, The Bachelor just got more drama-filled, thanks to Corinne! What are some ways to know if you’re in lust or love? 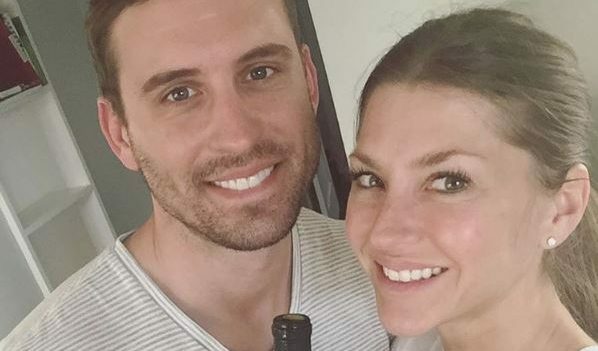 Former Bachelorette alum has found her knight in shining armor! 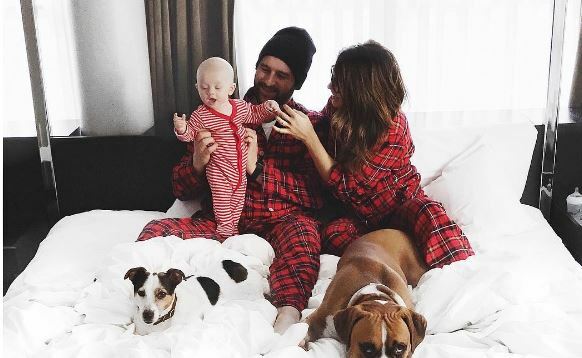 UsMagazine.com has confirmed that Jillian Harris is celebrating her celebrity engagement to longtime boyfriend, Justin Pasutto. Harris shared the news on Instagram, “Well THAT was SOME Christmas morning!!!!! OH MY GOD my heart cannot handle this much LOVE! @slipperygoose you’ve made me the HAPPIEST girl in the world. #Finally #ISimplyAskedForOneThingForChristmas.” In the photo, a new engagement ring can be seen on Harris’ hand as she plays with baby Leo. Following the first post, she continued to add photos sharing her joy and engagement with all of her followers. 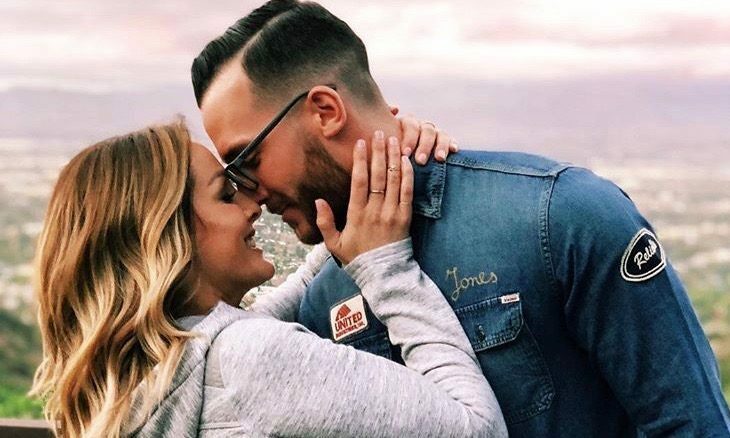 Her love life wasn’t always easy after multiple celebrity relationships from the Bachelor shows, however, all of that is over and we couldn’t be happier for her! There’s another celebrity wedding on its way now that Jillian Harris is engaged! What are some ways to encourage your partner to propose? 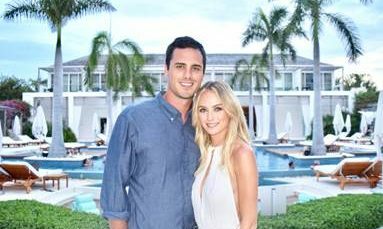 In the season finale of Ben and Lauren: Happily Ever After, former Bachelor Ben Higgins called off his celebrity wedding to Lauren Bushnell. Rumors of the two not making it after this decision are completely untrue. UsMagazine.com learned how Higgins feels about their relationship status, as he said, “I think at this point, Lauren and I are focusing on our relationship, which is obvious. We’re definitely together — we are happily engaged. The wedding in our mind — ‘Where’s your ring at?’ — is still on, but we are just taking some time to help plan that where it’s not stressful or overwhelming.” Bushnell shared, “Any couple feels the same pressures — you get engaged, and everyone asks when is the wedding. … We’ve navigated it relatively well and [are] doing things on our own timeline, honestly.” The stress of the show may have definitely changed the dynamic in this celebrity relationship! We sense a little bitterness when it comes to the planning of this celebrity wedding. What are some ways to deal with a partner who is reluctant to tie the knot? …Want the rest, click here! 3. Recognize that you are committing to your partner no matter what. 5. After popping the question, celebrate! Bushnell also came into the discussion by talking about the worries of finding the perfect ring. ““If it’s coming from you and you put a lot of time and effort into picking it out, I have no doubt that they’re probably going to love it,” she says, right before flashing her own ring with a smile. Even when it comes to celebrity weddings, it’s important to make your marriage proposal memorable. What are some key ways to make your proposal as special as can be? Bachelor alum AshLee Frazier has a celebrity wedding to look forward to in her near future! Frazier shared a statement with UsMagazine.com, saying, “After a 10-year friendship and 11 months of courtship, I am marrying my best friend.” Frazier announced her celebrity engagement to real estate agent Aaron Williams. Williams proposed to Frazier on the Brooklyn Bridge and Frazier captioned a social media post, “Best walk. Best view. Forever in my heart!” Frazier has had some ups and downs in her love life. The reality star was first married to her high school sweetheart, and then went on the Bachelor and the Bachelor In Paradise only to not find love, so it hasn’t been the easiest journey. Now, she is happier than ever and looking forward to the feature with her beau! 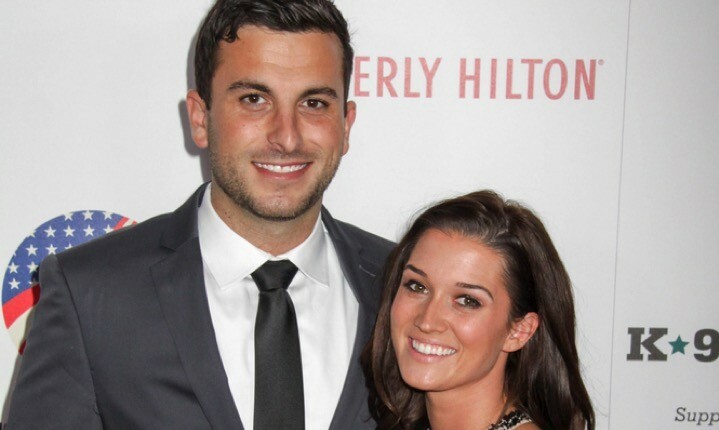 There’s another Bachelor alum off the market! What are some ways to turn a friendship into something more? 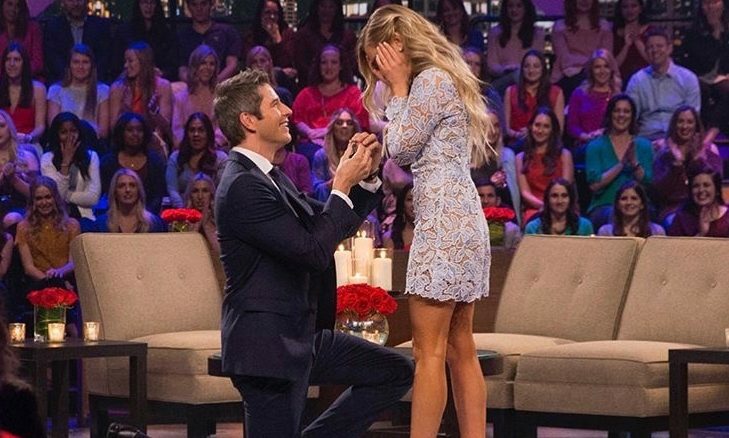 …Click here for more Bachelor News & Updates! No final rose needed here! 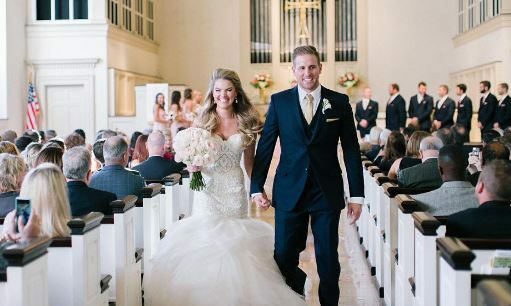 The Bachelor alum Nikki Ferrell got married to her fiancé, Tyler Vanloo, on Saturday, October 8th. Previously receiving the final rose, but no ring on Juan Pablo Galavis’ season, Nikki met a new man, and announced their engagement this past January. This celebrity news comes from UsMagazine.com, where they said the couple tied the knot among family and friends, including former Bachelorette Andi Dorfman, who posted a snap story of herself and Nikki at the event. In celebrity news, this Bachelor alum has finally found love! What are some unique ways to seek out love? 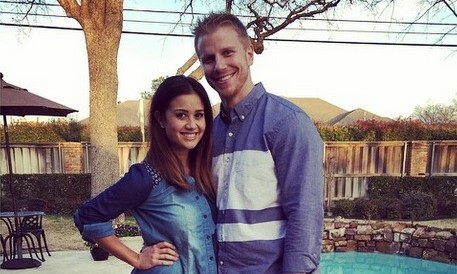 One of the cutest match-ups from The Bachelor, Sean Lowe and Catherine Giudici, are expecting their first child. Giudici is due this July and the celebrity couple celebrated by having a baby shower. According to EOnline.com, the theme for their celebrity baby shower was flamingos. Hubby Sean revealed in celebrity news that the baby shower provided them all the essentials. He says, “We have so much baby stuff now.” He continued, “That’s what we wanted. We want to feel like we have our bases covered.” This celebrity couple seems to be prepared for anything. This celebrity baby is getting spoiled already! What are some ways to add personal touches to your baby shower? In latest celebrity news, Andi Dorfman shared her true feelings about The Bachelor Season 18. According to UsMagazine.com, Dorfman expressed that she felt that her experience on the reality TV show was quite pointless, at least during Juan Pablo’s season. She felt as though she was doing things out of her comfort zone. While her experience on The Bachelorette was better, Dorfman claims that her time on season 18 of The Bachelor was one of her worst experiences. Although neither of her celebrity relationships worked out, Dorfman has been able to find happiness within herself since. This celebrity news isn’t exactly surprising, given Juan Pablo’s infamy. What are some ways to stay real in your search for love?